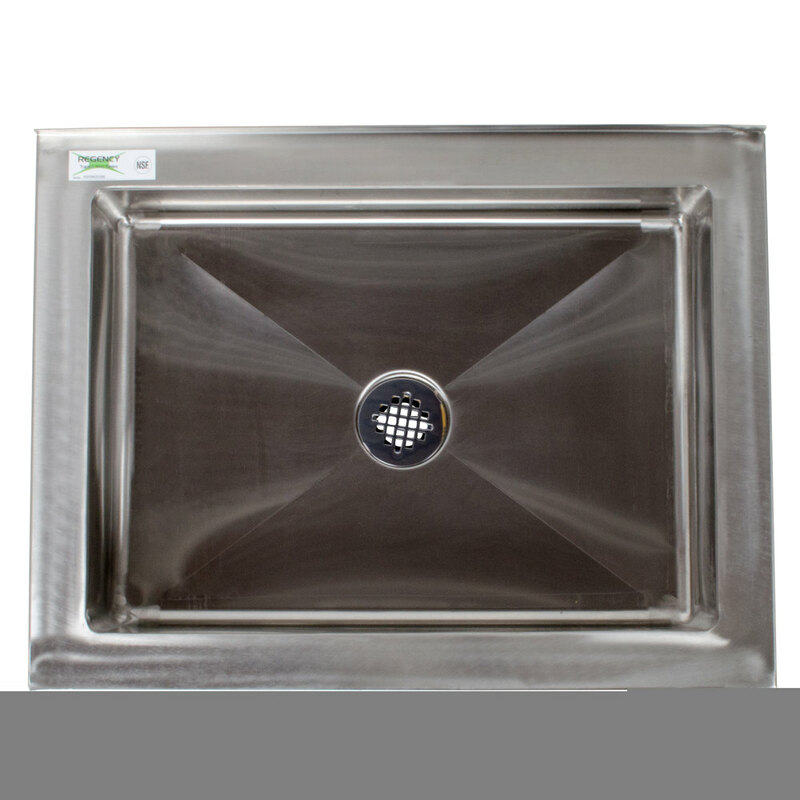 Keep your staff safe by eliminating heavy lifting of mop buckets with this 25" one compartment floor mounted mop sink from Regency Tables and Sinks. 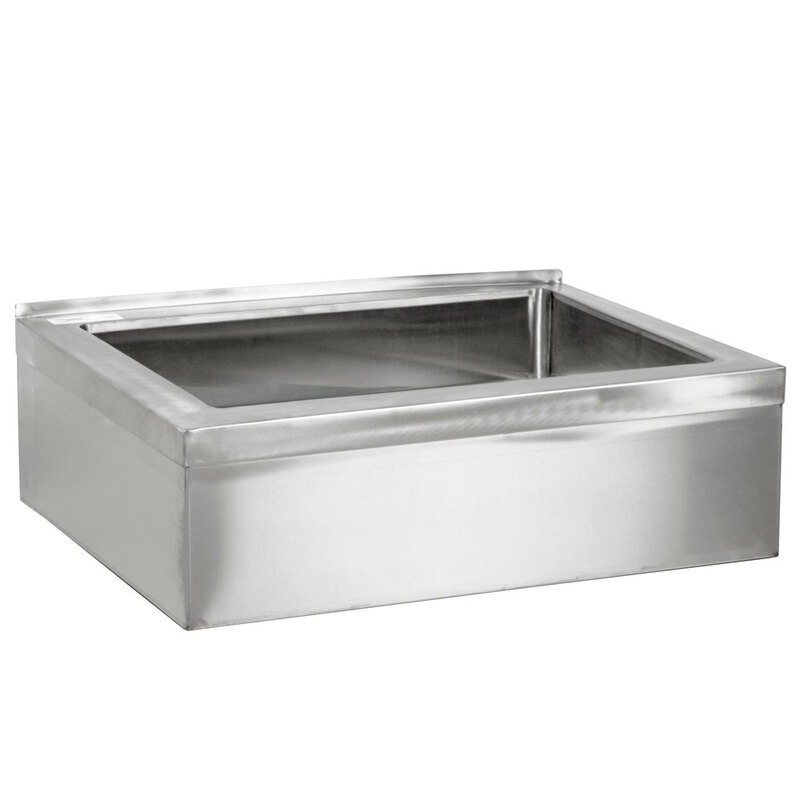 The bowl is made of high-quality 16-gauge type 304 stainless steel for reliable service, this gauge is thicker and much more durable than many similar sinks available that are made of 18-gauge stainless steel. 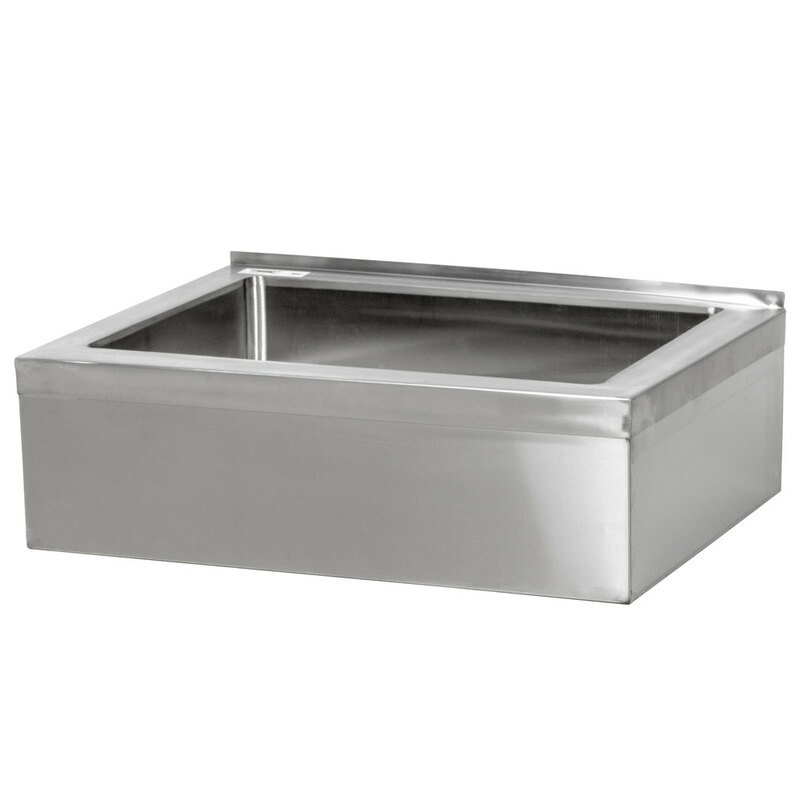 Additionally, type 304 stainless steel is exceptionally corrosion-resistant and easy to clean! It also has TIG welded areas, which are blended to match adjacent surfaces to a satin-smooth finish. 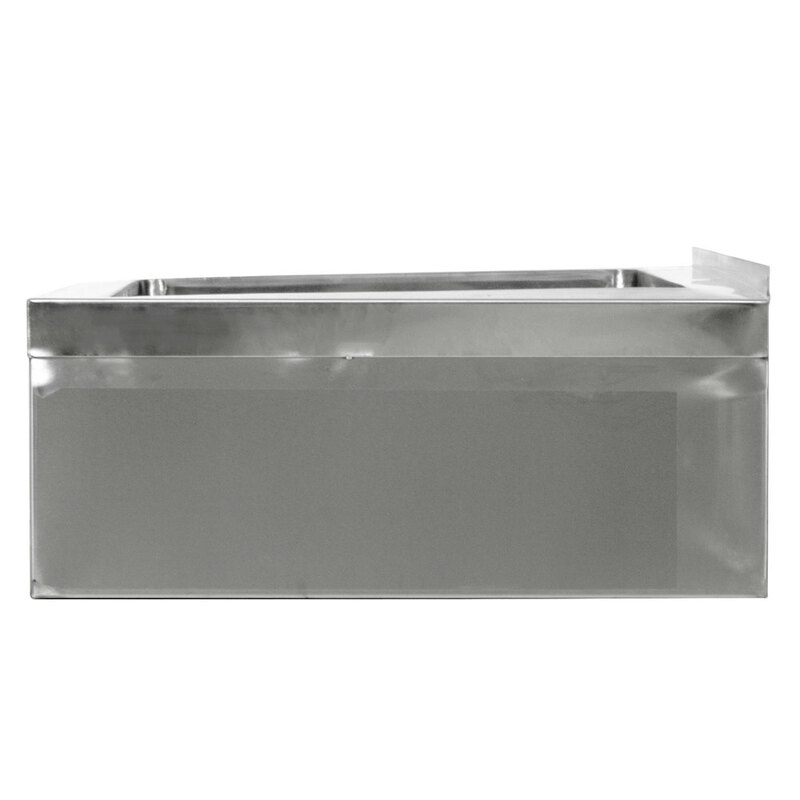 The 20" x 16" x 6" compartment offers rounded corners and ample space to conveniently wash your mop. In addition, the drain includes a 3 1/2" basket strainer to eliminate the possibility of clogging. By regularly maintaining your drainage system, you will cut down on possible service and replacements costs.